Color me surprised (snark) but the members of the Grand Obstructionist Party in the House of Representatives unanimously voted against Obama’s stimulus plan yesterday. Yep, exactly ZERO Republicans voted in favor of the plan, even though Obama and House Democrats made a number of concessions to their demands. The Illinois Senate voted 59-0 to convict Gov. Rod Blagojevich (D) “on an article of impeachment Thursday that charged him with a pattern of abusing power, prompting the governor’s immediate ouster.” Lt. Gov. Pat Quinn assumed power after the vote. Rep. Phil Gingrey (R-Ga.), head of the Republican Study Committee. A pretty smart move if you ask me. It popped up on television last night and I had two reactions. The first was a sense of met expectation. Part of the rationale for Obama’s presidency from a foreign policy perspective was always his unique capacity to rebrand America in the eyes of the Muslim world. Since even the hardest core neocons agree that wooing the Muslim center is critical to winning the long war against Jihadism, Obama’s outreach is unremarkable and should be utterly uncontroversial. Bush tried for a while to do the same. But Karen Hughes is not exactly Barack Obama. And the simple gesture of choosing an Arab media outlet for his first televised interview as president is extremely powerful. It has the elegance of a minimalist move with maximalist aims. It is about the same thing as inviting Rick Warren or supping with George Will: it’s about R-E-S-P-E-C-T. I was just reading an article that discussed how X percentage of Americans identified themselves as "pro-choice" and Y percentage identified themselves as "pro-life". It made me think about how much I hate politically crafted euphemisms. 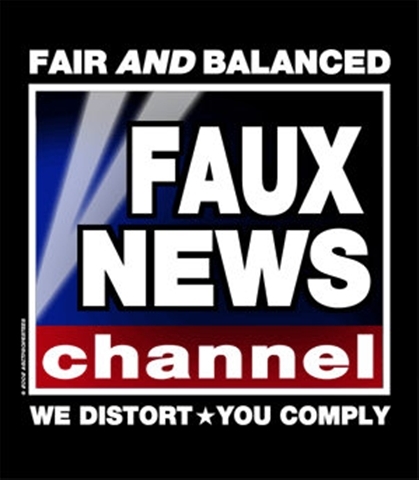 There are a lot of reasons to hate Faux FOX News, but chief among them is their incessant attempt to scare Americans into believing in Republican rule by painting Mexicans, Muslims and pretty much anyone else with a non-pink hue as terribly scary.